The purpose of this article is to give you a explanation about the pump configurations within the API 610. The API is an abbreviation for American Petroleum Institute. It is the main U.S trade association for the oil and natural gas industry, representing about 400 corporations involved in production, refinement, distribution, and many other aspects of this industry. 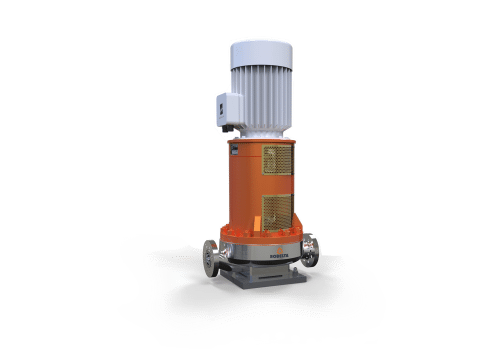 Centrifugal pumps are among the most common rotating equipment found in these industries. That’s why the American Petroleum Institute created a standard for this: the API 610. 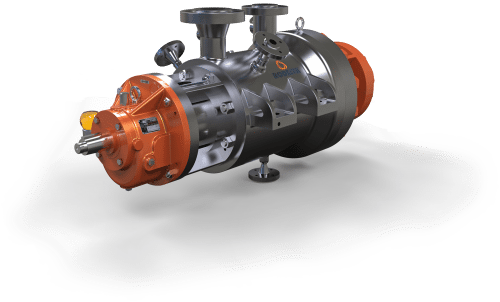 API 610 provides a classification for various types of centrifugal pumps. 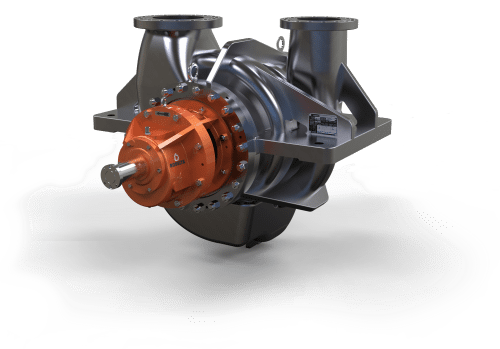 The API 610 pumps are primarily divided in three groups: OH, BB and VS.
OH – Overhung pumps – The impellers of these pumps protrude from the bearings. The support has to take care of all forces, e.g. 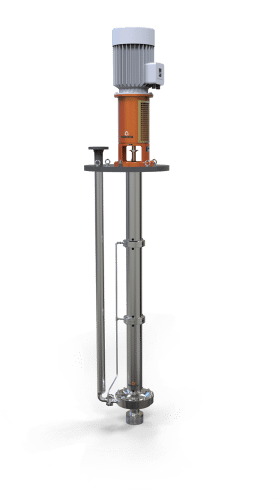 the overhung mass and the rotor dynamic and hydraulic forces. 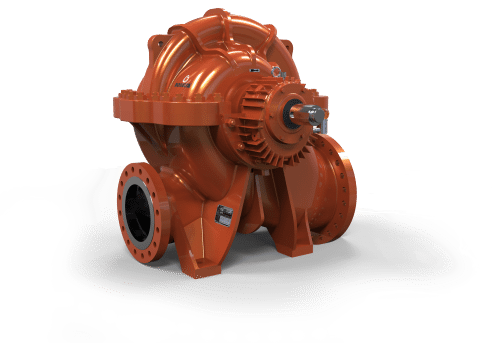 The impellers of these pumps can be mounted either horizontally or vertically. 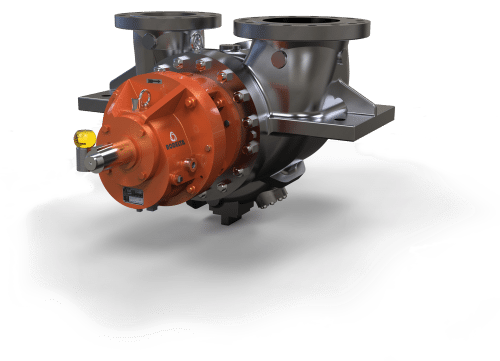 BB – Between bearing pumps – The impellers of BB pumps are suspended in between the supports. For all pumps of this type, the impeller is placed horizontally, in plane with the bearings. 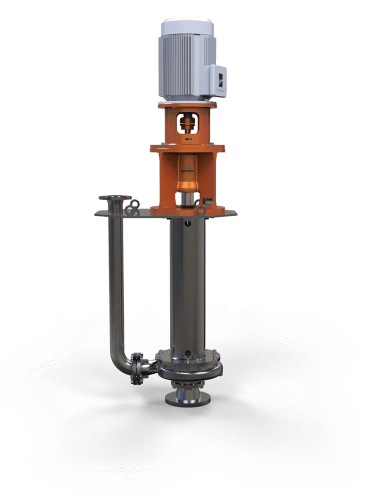 VS – Vertically suspended pumps – VS pumps are supported above the medium to be pumped. The vertically oriented impellers are suspended below the support and are submerged into the medium. (OH) Flexibly coupled – pumps feature a separate bearing assembly, in addition to the motor. Flexible couplings are usually used to transmit torque from one shaft to another when the two shafts can be slightly misaligned. They can accommodate angular misalignments up to 3° and parallel misalignment to a certain degree. In addition, they can also be used for vibration damping or noise reduction. In rotating shaft applications, a flexible coupling can protect the driving and driven shaft components (such as bearings) from the harmful effects of conditions such as misaligned shafts, vibration, shock loads, and thermal expansion of the shafts or other components. 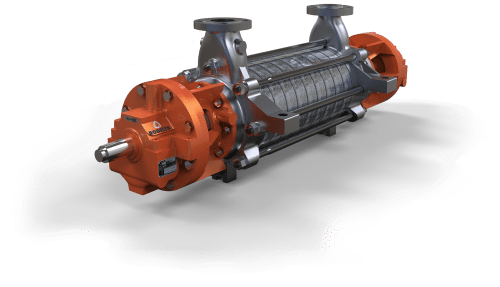 (OH) Rigidly coupled – pumps also feature a separate bearing housing. Rigid couplings are designed for heavy loads or industrial equipment. They consist of short sleeves surrounded by a perpendicular flange. One coupling is placed on each shaft so the two flanges line up face to face. A series of screws or bolts then hold the flanges together. 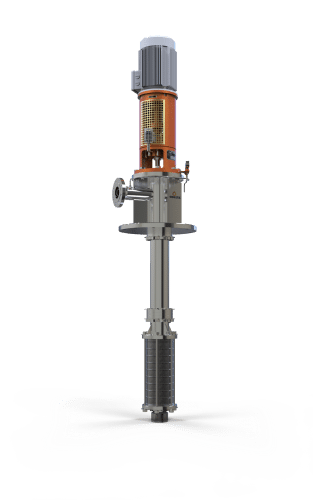 Because of their size and durability, flanged units can be used to bring shafts into alignment before they are joined together. Rigid couplings are used when precise shaft alignment is required; shaft misalignment will affect the coupling’s performance as well as its life. Horizontal – At right angles to the vertical; parallel to level ground. Vertical – being in a position or direction perpendicular to the plane of the horizon. 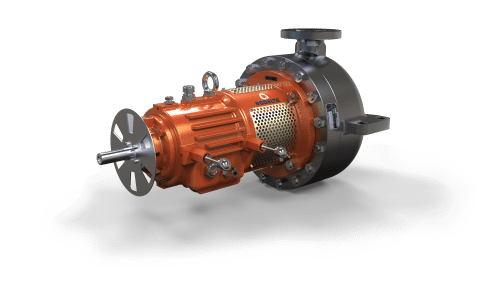 (OH) High-speed integral geared – These pumps have a speed-increasing gearbox integral with the pump. The impeller is mounted directly to the gearbox output shaft. 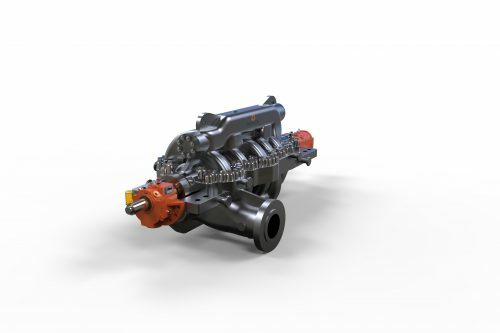 There is no coupling between the gearbox and pump; however, the gearbox is flexibly coupled to its driver. The pumps may be oriented vertically or horizontally. 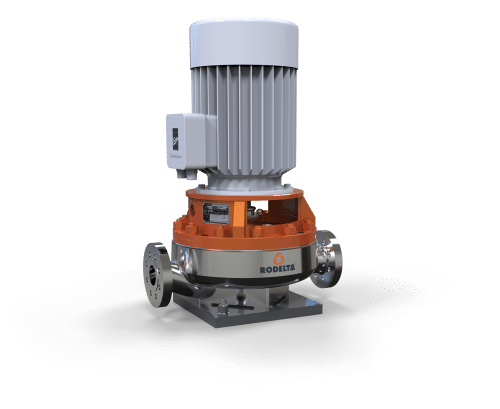 (BB) 1 & 2 stage – One or two impellers and associated diffusers or volutes and return channels if required. (BB) Double Casing – type of pump construction in which the pressure casing is separate from the pumping elements contained in the casing. 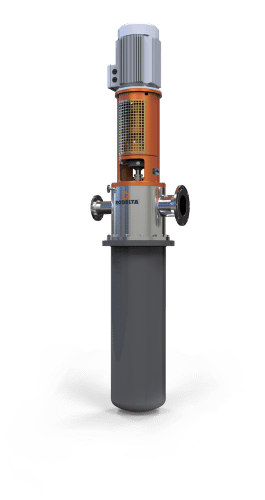 (VS) Axial flow– The fluid is pushed in a direction parallel to the shaft of the impeller, that is, fluid particles, in course of their flow through the pump, do not change their radial locations. 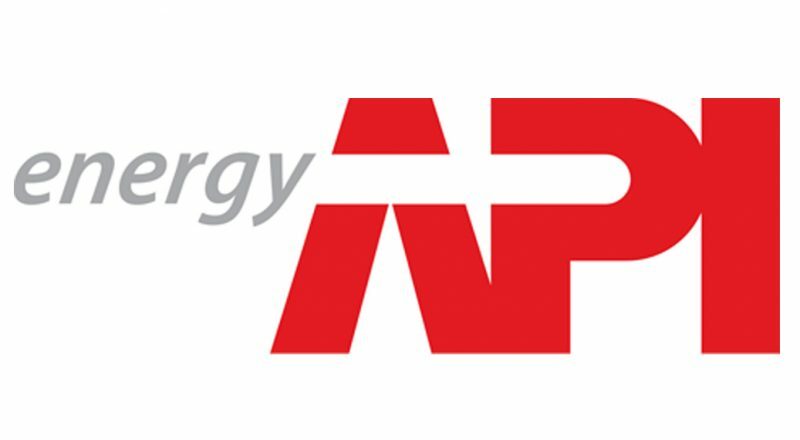 API, an acronym for the American Petroleum Institute, is an organization that develops technical standards for oil and natural gas industries. API 610 is the centrifugal pump standard put forward by API. 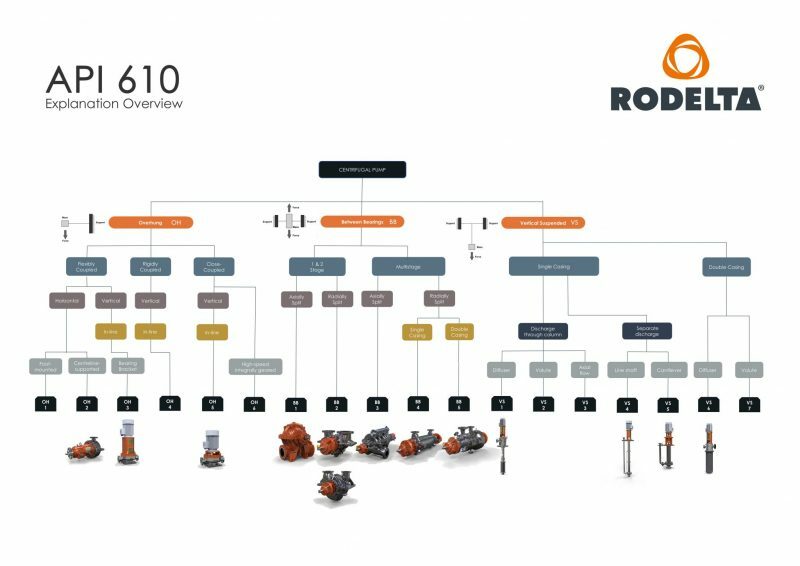 From selecting a model to choosing the perfect setup: we’ll help you find a Rodelta solution that’s right for you.